As many are always quick to point out, any talk of a record price in silver is preliminary as long as the Hunt Brothers nominal high of $50 set in 1980 remains in the history books. However, when priced in EURs, this is not exactly the case. 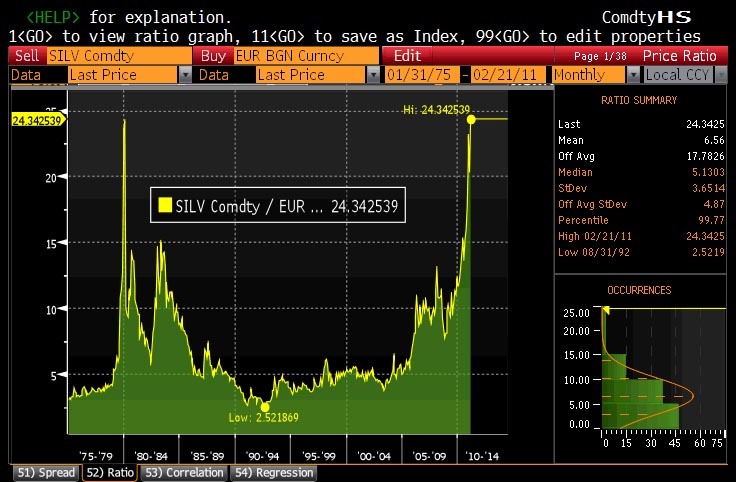 As can be seen on the chart below, our European readers have full permission to say that silver is now at an all time high, with no caveats or footnotes.